Mayans were a society which primarily relied on agricultural produce on their subsistence. At the same time, they were also frequently engaged in warfare. These two factors, namely agriculture and warfare, greatly determined the overall outlook of the Mayan civilisation. The Mayan way of life was typically of two kinds one was for the Mayan nobility while another was for the Mayan commoners. Mayan nobility had a rather lavish life and enjoyed many privileges. Mayan commoners, on the other hand, had a hard life which required diligent work for themselves and for the society at large. Since agriculture played such a huge role in the Mayan life, considerable resources were expended by the Mayans in cultivating sufficient amounts of food. Most male commoners were engaged in agricultural activities. They would level the land, plant the seeds and harvest the crops. They would water the fields and ensure that every year, sufficient land was available to cultivate the Mayan staple crop, maize. Since soil in Mayan regions was not very fertile, Mayans routinely used techniques such as slash-and-burn to render it suitable for cultivation. This technique involved burning the vegetation outgrowth on a piece of land and then using the mineral-rich soil of the field for cultivation. Mayan ritual sacrifice by strangulation of young woman at the Mound 72 burial of an important personage, human sacrifice was a part of the way of life of the Mayan People. Religion played a central role in the Mayan way of life. It pervaded every part of the Mayan society. A priestly class was usually the representative of religion in most Mayan cities. Priests acted as intermediaries between Mayan deities and the humans. They would carry out ritual human sacrifices and overlook other religious ceremonies. Priests were also tasked with the development of different Mayan sciences such as astronomy, mathematics and writing. They penned down books and educated the children of the Mayan nobility. Mayan nobility was rich, enjoyed many privileges and usually had many such rights which were forbidden for the Mayan commoners. The nobility usually occupied positions of civil and military administration. Most noblemen owned personal slaves and an interesting practice of the Mayan nobility was to have slaves hold a cloth in front of their face whenever they went into the public arena. Mayan nobility had lavish, spacious houses made of strong stone constructions and they expended significant resources on beautifying their looks and on art objects. They wore colourful clothes and huge headdresses, while both items were forbidden for the commoners. 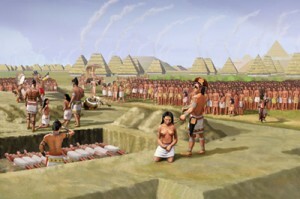 Mayan warriors enjoyed an honourable position in Mayan society. The warriors had a tough life since they had to extensively train for warfare. They spent most of their early lives training to be formidable fighters. The weapons used by the Mayan warriors included flint-tipped spears and other weapons made of stone. In some cases, warriors rose to positions of exceptional prominence, shadowing even the nobility. In general, the task of the Mayan warriors was to wage war on other cities or peoples, bring captives back to the city and present the captives as human sacrifices to the gods. Mayan artists and craftsmen were considered one station above the Mayan commoners. Mayan artists and craftsmen were considered one station above the Mayan commoners. Although of common origin, the artists and craftsmen were accorded prestige because of the speciality of their skills. Since the nobility were usually the clients and customers of most art products, the artists were better off than the commoner class at large. 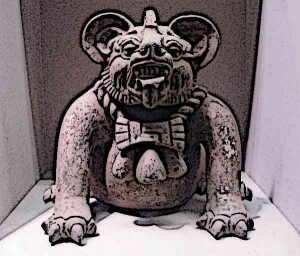 The works of the artists also contributed the export items of a Mayan city which was also a reason why they were valued. A craftsman or an artist usually worked for a nobleman who, in turn, provided food, shelter and other necessities for him and his family. Mayan children, especially those of the commoner class, did not go to any former schools. They were taught by their parents and were involved in household chores fairly early on. Mayan boys began accompanying their fathers to farms and hunting as early as the age of six or seven. Girls of the same age began learning household jobs and assisting their mothers. The children were considered adults by the time they reached the age of fifteen and a ceremony marked the occasion. A priest overlooked this ceremony and affirmed that the child had become a responsible citizen. Mayan women did not enjoy a very prominent social or political roles. They were mostly confined to household jobs, assisting their husbands in housekeeping. In commoner homes, Mayan women would also look after the personal garden which accompanied the houses of the commoners. Women did not inherit any property from their parents. The women of the nobility class enjoyed more rights. They sometimes overlooked religious rituals and ceremonies. In the Terminal Classic period, many Mayan women from the nobility class rose to the station of queens, essentially enjoying supreme power in cities such as Copan. Mayan commoners lived in huts with thatched roofs and walls made of packed mud. A typical commoner house was located inside a piece of land. It included the hut, a small garden, kitchen, storage space and other units of the household. Every such piece of land was shared by an extended family. A son, upon marriage, constructed his new home right next to his fathers house. So the members of an extended family shared things such as kitchen, cooking area and garden. Mayan society, at large, had a utilitarian way of life which required everyone to do his or her job in the well-being of the family and the society. The commoners did most of the menial jobs  they had to cultivate and harvest the crops, hunt for meat and work on public monumental structures. The nobility had a more lavish lifestyle. They were usually limited to occupying military and civil positions under the ruler. Religion played an important role in the Mayan society. Priests overlooked religious rituals and ceremonies. They also developed different sciences and educated the sons of the Mayan noblemen. The women were mostly confined to household chores while men looked after outdoor jobs. Children also became an active part of the society fairly early in their age, trained to contribute productively to their family and society.